Apple is now shipping three out of four of its major sub-groups of iMac Pro models, with purchasers of the 18-core model now getting notifications that the machines are on their way. AppleInsider has confirmed with its sources not authorized to speak on behalf of the company that "a small number of early orders have shipped to U.S. customers." No information was available about international orders, but our sources assumed that they would also be shipping shortly. Our sources have also confirmed that the 14-core model is not shipping as of yet, and no timetable was offered to us. The confirmation comes on the heels of MacRumors readers noting early on Wednesday they were receiving shipping notifications for the machines. This has happened once before in the beginning of January, but the emails from Apple at the time were sent in error. The machine, intended for high-end demands, has a base configuration with an eight-core processor running at 3.2 gigahertz, 32 gigabytes of ECC DDR4 2666 RAM, a Vega 56 GPU with 8GB of VRAM, and 1 terabyte of flash storage. Configurations shipping in 2017 included the 8- and 10-core models, up to 4TB of storage on either configuration, either the Vega 56 with 8GB of RAM or the Vega 64 GPU with 16GB of RAM, and up to 128GB of RAM. Connectivity is provided by a SD card slot with UHS-II support, four Thunderbolt 3 ports, a 10-Gigabit Ethernet port, three USB 3.0 type A ports, and a headphone jack. The display is 5K, with Apple's Wide Color display that spans the DCI-P3 gamut. Resolution is 5120 by 2880 with 500 nits of brightness. A 18-core iMac Pro model starts at around $7,400, and escalates rapidly, depending on configuration. A maxed-out 18-core iMac Pro costs $13,199. The unit ships in Space Gray, with matching Lightning cable to charge the included Magic Keyboard with Numeric Keypad, and Magic Mouse 2. A Space Gray Magic Trackpad 2 is available for sale in conjunction with the unit. Readers can lessen the cost of a new iMac Pro by ordering from Apple authorized reseller B&H Photo and taking advantage of an exclusive $500 discount on every configuration for a limited time. There's also no sales tax on orders shipped outside New York and New Jersey. Simply email us at [email protected] and we'll send over a time-sensitive, one-time use coupon code to activate the deal. I hope the 18 core model comes with seat belts and a parachute. I can’t imagine how fast it must be. I have zero need for this 18-core beast. That being said, "want" has nothing to do with "need". Makes this years Mac Pro even more curious, will they go two 12 cores or something. This is somewhat interesting and I have been following the debate regarding Cores vs Cycle speed and was wondering if there was a database or app that can determine whether a piece of software can utilise more cores or needs higher cycle speeds? I am presuming that things like FCP will utilise more core numbers due to the way Apple is running its Mac line but it is difficult to determine what is really needed for any particular piece of software that you may utilise. Who said it would be this year? Some prefer to read this as “not 2017, not 2018, not even 2019 unless you’re lucky—it’s a three year project best case.” Others with less pessimism, including those having some familiarity with computer hardware development cycles, think delivery is very possible before the end of this year. Many have suggested a WWDC preview would be likely. I think a preview in June is entirely possible, but in any case I can’t imagine WWDC concluding without an official update re: Mac Pro. Some guesses are more educated than others, but only time will tell. I think this is reasonable. It's not like Apple has no experience designing modular computers - this shouldn't be that big of a deal for them to achieve on a reasonable timeframe. The old Mac Pro (aluminum one) had an enduring functional and aesthetic design - until they started ignoring it. Hopefully Apple understands the value of achieving a similar standard of design and function with this new system. I wonder if they are going to make it in the U.S.? Anyone checked to see if the current Mac Pro builder in Austin has been hiring? 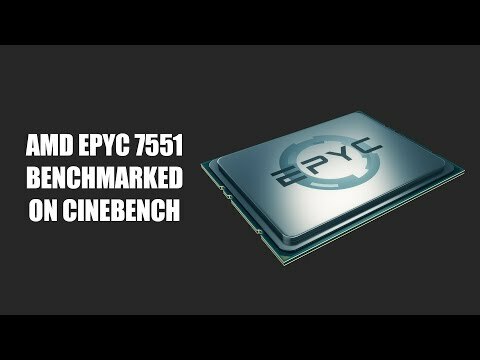 Apple could make a very affordable and powerful machine with dual Threadripper (6000 Cinebench) plus dual Vega 64 (22TFLOPs+). Even if it was $1500 per CPU and GPU, that's only $6k for the top model spec parts plus maybe $1.5-2k for the rest. 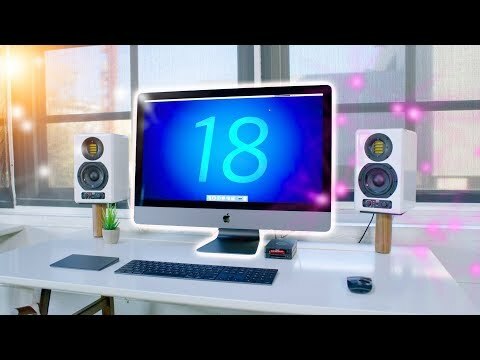 In the face of Intel not lowering prices, it would actually be better value to have a mix of iMac Pro and a custom build. For people who need raw CPU power, get an 8-core iMac Pro for $5k and then a dual Threadripper box for ~$3k with a low-end GPU. Separate Threadripper boxes would be about $2k each so if you had an iMac Pro plus two of those, that's already $9k minimum. Dual Intel chips at $7k plus the box wouldn't be far off that (maybe $11-12k with a fast GPU) and in a single box.